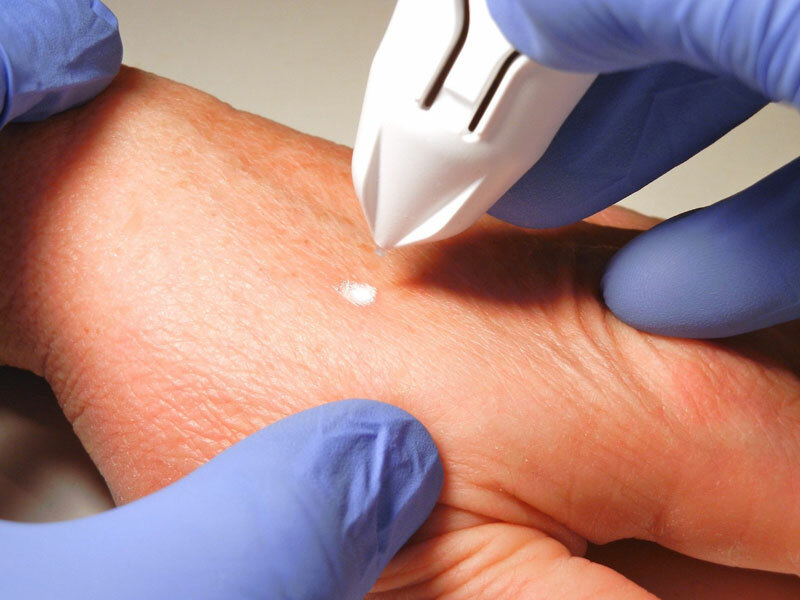 CryoClear is a disposable pen that uses carbon dioxide to eliminate benign skin lesions, such as age and sun spots, as well as skin tags. The pen delivers a targeted spray of carbon dioxide ice that eliminates dead skin cells and activates the body’s natural inflammatory response. Estheticians now have a new tool to treat a range of common types of hyperpigmentation. CryoClear delivers a controlled spray with no downtime for clients. The virtually painless and highly effective therapy takes just minutes to perform, and there is no downtime for the client. The company has developed pre-treatment protocols that help estheticians achieve over 90% success rate after just one 5-second spray. The treatment site is hydrated with hyaluronic acid and cooled with ice or a cooling globe. Next, a 5-second spray of CryoClear is applied to the spot or tag. The treated spot turns darker for the next few days, and then sloughs off between seven to 12 days. Most clients see normal pigmentation return after four to six weeks. These pictures show the typical treatment timeline for age spots. The CryoClear pen is a multi-use disposable, which means there is no equipment to maintain, and the company offers a Go Green recycling program with discounts for returned pens. Most spa owners report making a profit of $1,500 to over $2,000 per pen, and the service can be offered as combo treatment with chemical peels, dermaplaning and other treatments. How CryoClear helped Keri treat her age spot. Marie Regan, LE, talks about how CryoClear fits into her practice. Submit the form if you would like to download and instantly receive our Free Ebook.